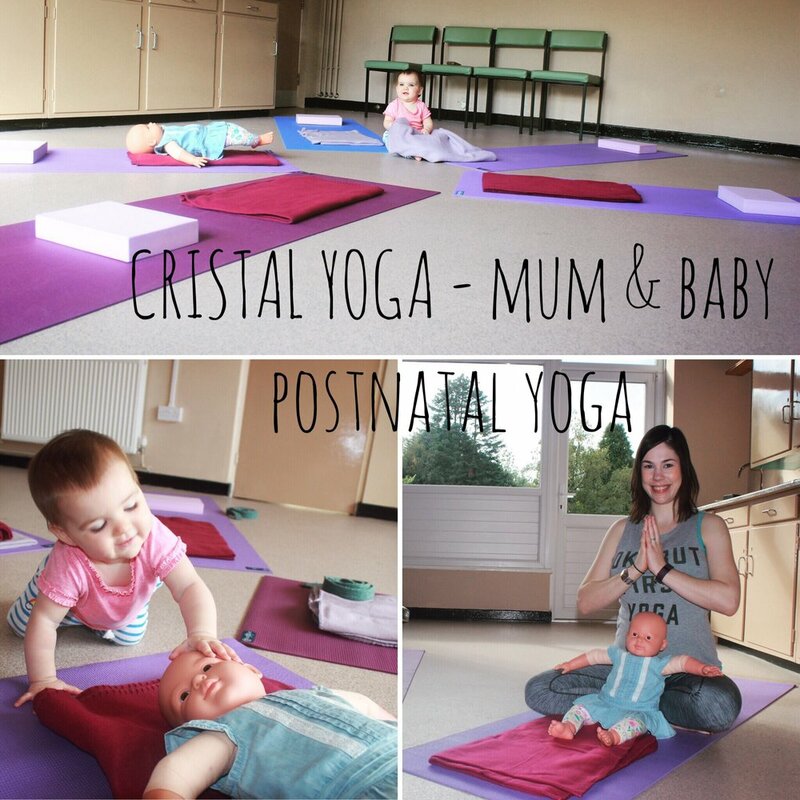 Cristal runs mum and baby classes in Ponteland, Forest Hall and Ouseburn. With Daddy looking after my toddler, me and the baby headed off to Ponteland Memorial Hall for our class. I was really looking forward to it, as I realised how little I have done just with her. Since she was tiny she has been carted off to noisy toddler groups so that I can keep my bigger one entertained. She hasn't had any of the baby sensory or massage classes that he got when he was a baby, so I was really pleased that at the grand old age of nine months old, she was eventually going to have my undivided attention for an hour or so. I've never been to Ponteland Memorial Hall before, but it was really easy to find and there was loads of free parking. Obviously me being me, we were running slightly late so I grabbed the baby and quickly skim read Cristal's message about how to find the actual room. Well I might as well have not looked. I got as far as heading in via the main entrance - which is around the back, not next to those grand looking pillars - and then it all went a little bit wrong. If I'd properly read the instructions I'm sure I would have been fine, but I decided to wing it a little bit, and ended up coming out on a stage!! A very kind gentleman helped me down, and showed me where the room actually was. If you are going there I recommend reading instructions fully, or to avoid any potential wrong turns by staying on the outside of the building and after you've passed the main entrance its the first door on your right, opposite the tennis courts, you can just about see the door on the above photo. Cristal was lovely. Immediately put me at ease about being a bit late, and was really welcoming. After we'd said hello she asked me to fill in a health questionnaire, and told me everything I needed to know, such as where the toilet was (right next to our room, so no opportunity for me to get lost again) and said I didn't need to worry at all if the baby cried, needed to be fed or changed and just to see to her. Her mantra is happy baby, happy mum. She was able to adapt all the yoga moves to incorporate holding the baby so if I needed to pick her up I wouldn't be missing out on exercise time. Before we even got started the baby was off. She was exploring the room and playing with whatever she found. Whilst she was happily distracted Cristal started the class. We spent some time initially working on breathing. Cristal explained that the focus of these exercises was to strengthen the pelvic and abdominal muscles which are weakened during pregnancy. It was lovely taking 5 minutes out to relax and stretch out. I realised how poor my posture is since having my babies and it felt good to work on it. After we'd done a variety of moves we retrieved the baby and tried to include her in the stretching. Cristal sat with the doll and showed me how I could circle my upper body whilst holding the baby's feet so she would be doing some leg stretches at the same time. The idea being that whilst I am strengthening my muscles the baby enjoys massage and playful stretches to improve their baby’s digestion and coordination. Well my baby may very well be bunged up and uncoordinated as she was having none of it. She has only recently begun crawling and all she ever wants to do is be up and off, if she hadn't been mobile I know she would have loved it though. After working on some upper body moves, designed to release tight shoulders from carrying and feeding a baby we moved into warrior pose. By this point the baby was starting to be a bit grumpy so Cristal showed me how to pick her up so I would be comforting her whilst using her weight to add resistance to the pose. I could really feel the burn during that pose, but I was distracted as we sang a couple of choruses of a nursery rhyme to keep the baby happy. We finished the class off with some gentle stretches and breathing exercises. Throughout the class Cristal had given me some great tips about how to incorporate yoga moves when I'm looking after the kids, such as when I'm picking them up, or if I'm walking around trying to soothe them. It was really useful and motivated me to try and squeeze in some exercise into my day. We absolutely loved our class. The baby thought she's found a friend for life in the yoga dolly, and it was so nice for me to ease myself gently into the world of exercise. I know some people might feel daunted or worried they weren't fit enough to join in, but I would urge anyone to give it a go. Cristal said that all abilities are catered for, and at no point in the class did I feel out of breath. I did however feel it the next day, waking up to that satisfying ache where you know you worked your muscles. It wasn't the agonising pain I've experienced after body pump where I've struggled to walk down the stairs, but there was no question I had used some muscles that I had ignored for quite a while now. I wish I could go to more of these baby classes, but they clash with my working days. Now that the baby is eating solids, so less reliant on me, I think I will try and go to some of Cristal's evening classes by myself. I felt so relaxed during the class that I left completely de-stressed. Now that I'm working full time with 2 children and a blog to neglect I think I could really benefit from setting an hour or two aside each week to switch off and to work on getting my body to at least resemble the same species as my pre-pregnancy figure. 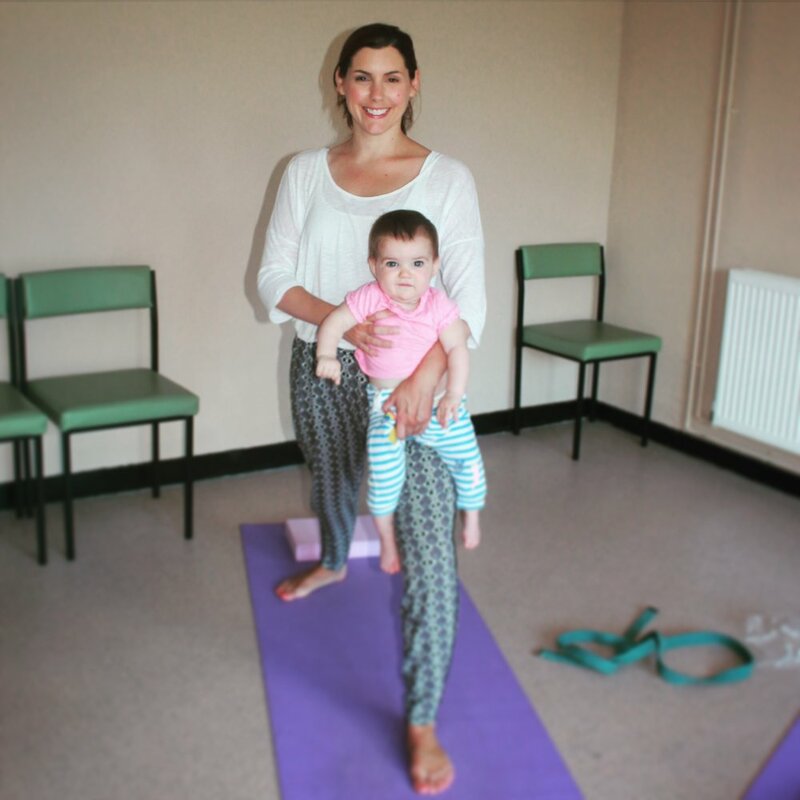 If you would like to join in with a postnatal mum and baby yoga class Cristal is offering a FREE first class for anyone who books their first session in October 2016. Disclosure Policy - We received a complimentary class with Cristal Yoga in return for an honest review. Unsurprising all of the random blabber and chuntering on in this post is my own. See the about us section of this website for the full corporate speak disclosure policy.